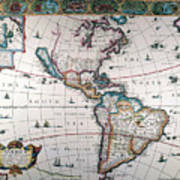 Queen duvet cover (88" x 88") featuring the image "New World Map, 1616" by Granger. Our soft microfiber duvet covers are hand sewn and include a hidden zipper for easy washing and assembly. Your selected image is printed on the top surface with a soft white surface underneath. All duvet covers are machine washable with cold water and a mild detergent. 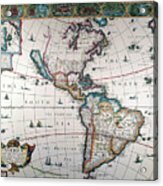 There are no comments for New World Map, 1616. Click here to post the first comment. 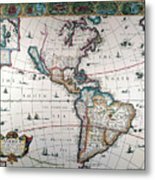 NEW WORLD MAP, 1616. 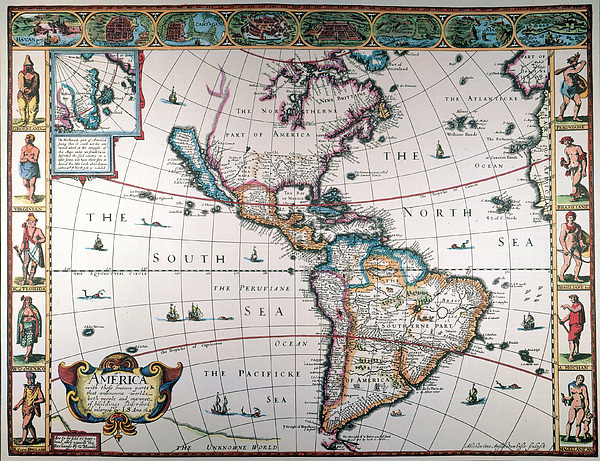 English map of the western hemisphere published by John Speed in 1616. California appears as a huge island and the views along both sides are of natives in fanciful costumes.